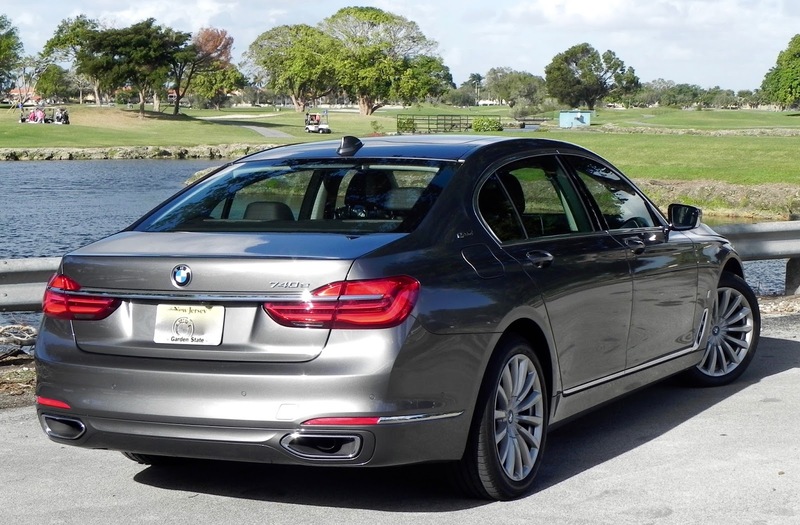 The BMW 530e is pretty much a smaller version of the BMW 740e that I reviewed a couple of weeks ago, and I have the same issue with the 530e, a new plugin hybrid for 2018, that I did with the 740e. I just don’t “get” the infatuation with plugin hybrids that deliver minimal mileage on electric power only. 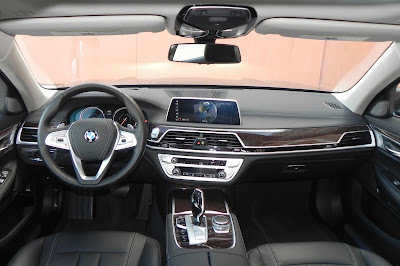 I was able to go a bit farther on electric power with the midsize 530e than I did with the full-size 740e, which seemed to be about a blink, but still not so much that it would be classed as a “fully electric” vehicle. I still couldn’t get a full round trip of just over 20 miles in electric mode with the 530e, though it did seem to have more range than the full-size 740e. That may not be much of a fair test, but it doesn’t make all the hassle with plugging the car in overnight to get a full charge worth it, at least not to me. 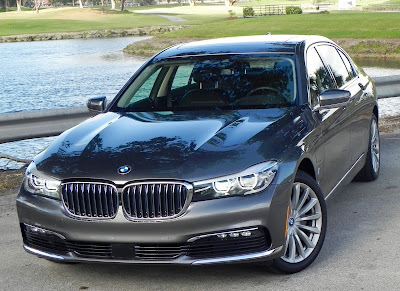 That is especially when you also take into consideration just how the 2018 530e iPerformance sedan performs when the 2.0-liter TwinPower Turbo 4-cylinder gas engine kicks in. Running in conjunction with the electric motor like a typical hybrid setup, it sends 248 horsepower and 310 pound-feet of torque to the real wheels, enough to move its 4,226 pounds from zero-to-60 mph in 6.1 seconds, according to company clockers. Mated with a 6-speed automatic Steptronic transmission with paddle shifters, mileage figures are more than decent, too — 29 miles-per-gallon combined city/highway. 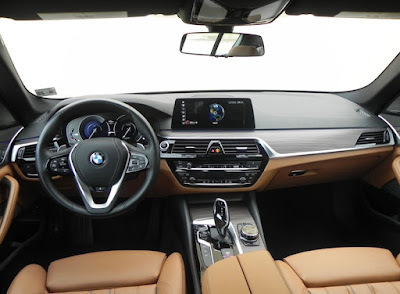 Plus, and this is the big thing, you get all the finer things typical of the 5-Series portfolio (the turbo 4-cylinder 530i, V6 540i, diesel 540d, and V8 M550i), which means lots of leather and wood and soft-touch materials and lots of technological features such as navigation with a 10.2-inch high-definition screen and Apple CarPlay (but not Android Auto; sorry). The front seats are adjustable 16 ways and include 4-way lumbar support, and you can get upgrades for heating and cooling functions as well as massaging front seats. Dual-zone climate control, a rearview camera, and a 2-way power moonroof also are among standard features, and the soft-close automatic doors are a nice touch. The overall cabin is spacious with front legroom of 41.4 inches and rear of 36.5. Trunk space is significantly less on the 530e from what is offered on other 5-Series models. 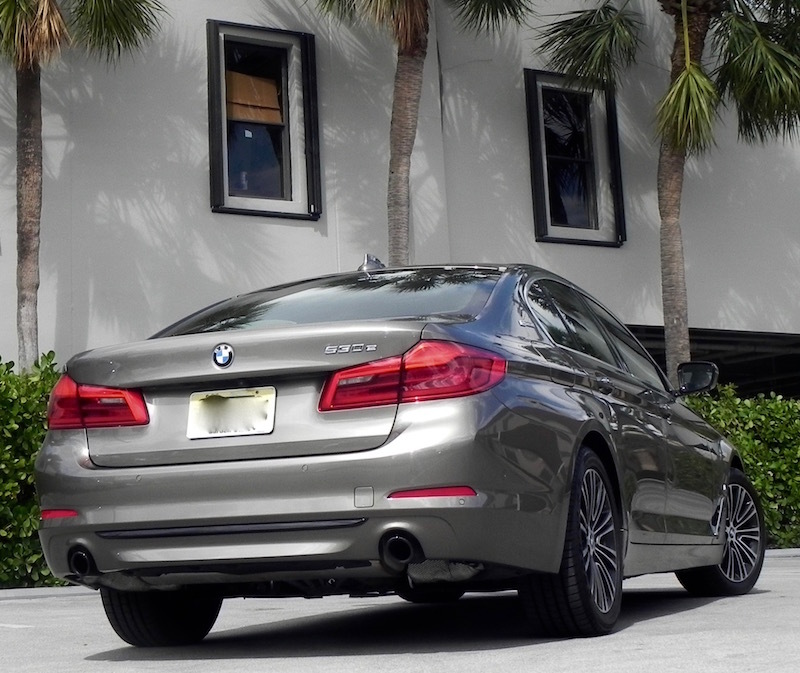 Max is 14.5 cubic feet compared to 18.7 on the 530i, the latter figure being among class leaders. But the backseat folds with a 40/20/40 split to open up more space. 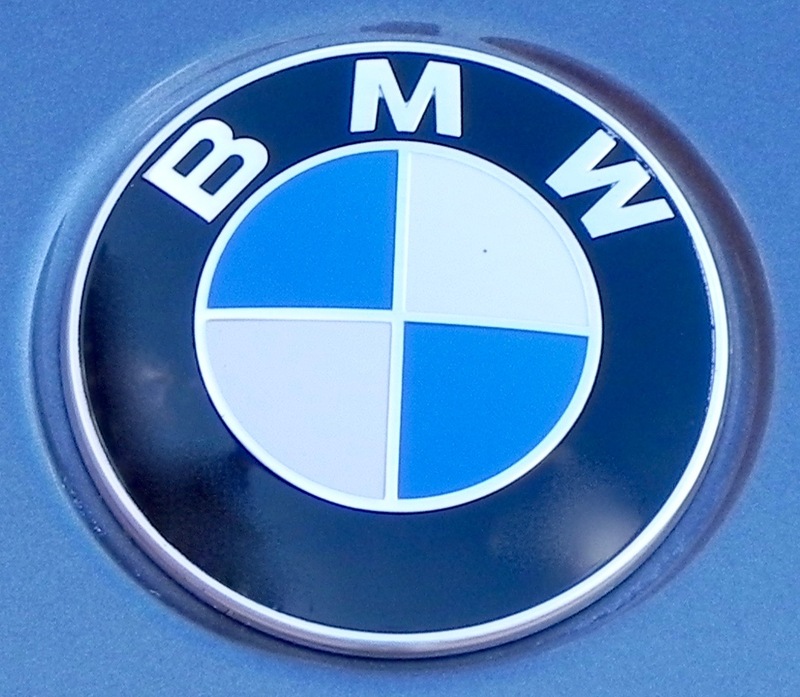 The exterior features BMW’s distinctive kidney grille and LED headlights and fog lamps along with eDrive badging on the C pillars. The door sills also get eDrive lettering, and there’s an eDrive button on the console in case you need another reminder that this is a gas-electric hybrid. 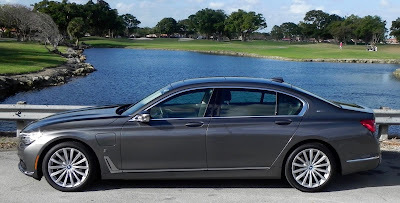 What I didn’t like about the 2018 BMW 530e iPerformance: All the technology is nice, but can be overwhelming. At least the Germans seem to have dumbed it down a bit, but performing the simplest of tasks still take extra steps, which can be distracting. Would I buy the 2018 BMW 530e iPerformance? Yes, and no. Or no, and yes. I love the overall vehicle and like that it is a midsize sedan over the full-size 740e, but I’m just not a fan of the plugin technology. One appealing thing is that the MSRP is low enough that when you take into considerations the tax credits you get for the electric technology, you likely will wind up paying less for it than for the base 530i. When it comes to midsize affordable, family friendly sedans, Toyota’s Camry and Honda’s Accord have been the traditional sales leaders in the U.S. for years, but they aren’t the only good choices in this shrinking segment. In fact, they’re not even the only good one from an Asian automaker. 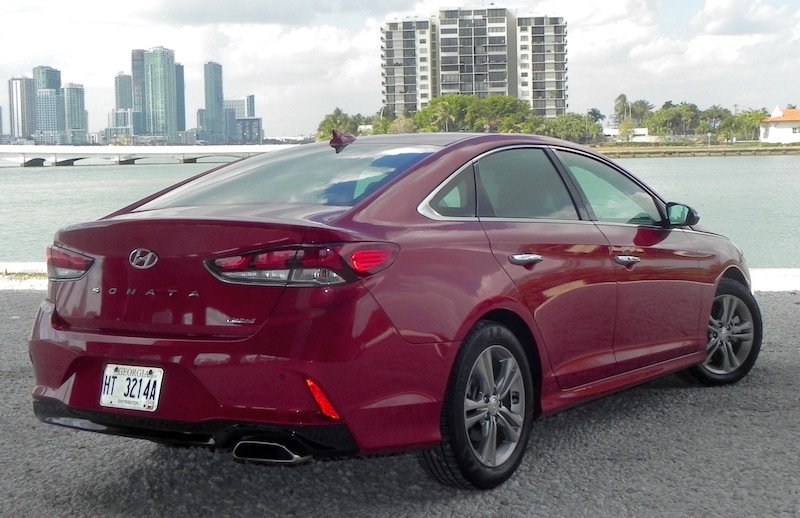 The Hyundai Sonata, made in the South Korean company’s assembly plant in Montgomery, Alabama, combines comfort and convenience in a vehicle with sharp, eye-catching styling. 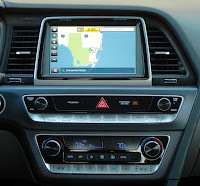 Working in Hyundai’s California Design Studio, which was opened in Fountain Valley in 1990 and moved to its present site in Irvine in 2003, designers gave the Sonata a more refined look and larger cabin to move it into its seventh generation in 2015, and they have continued their tinkering with several updates for 2018. They gave the exterior a new grille and more aggressive look overall, restyled the inside, updated the suspension, and made blind-spot warning and cross-traffic alert standard on all the trims, a nice touch when the usual practice is to make the bare bones model in the lineup just that. Three different 4-cylinder engines are offered in the seven trim levels with the 2.4-liter serving as the standard power source. It is rated at 185 horsepower and 178 pound-feet of torque, enough for a confident performance for everyday chores. It is mated with a 6-speed automatic transmission. Also available are 2.0T models with a turbocharged 2.0-liter that ups the ante to 245 hp and 260 lb.-ft. and gets a new 8-speed transmission. Eco trim gets a turbo 1.6-liter paired with a 7-speed dual clutch transmission that acts like an automatic for the best fuel economy of the group (28 miles-per-gallon city, 37 mpg highway), though the 2.4L Limited isn’t much thirstier with numbers of 25/35. My time was spent in the Limited trim with the 2.4L engine. It carries a starting MSRP of $27,400 over the base model’s $22,050, but your reward is a long laundry list of standard equipment and other features available for no charge. These include safety technology like the blind-spot warning and cross traffic alert system cited earlier as well as headlights with what Hyundai calls Dynamic Bending Light to illuminate the path in the direction you are turning. Government crash ratings are 5-star across the board with rollover risk rated at 4 stars. 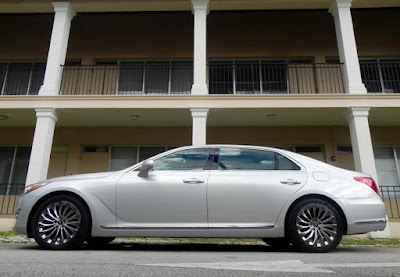 Among other items on the list the Limited’s standard or no-charge equipment are 17-inch alloy wheels, power sunroof, push-button start, heated side mirrors with turn-signal indicators, hands-free trunk with auto open, LED headlights and taillights, leather-wrapped steering wheel and shift knob, dual automatic climate control, 7-inch color touchscreen, Apple CarPlay and Android Auto connectivity, three years of Blue Link services, and heated and ventilated front seats. Going for an optional Ultimate Package adds navigation with a 8-inch screen, automatic emergency braking and pedestrian detection (an Uber self-driving test model could have used that recently), lane-keep assist, automatic high beam assist, an Infinity premium audio system, rear parking sensors, and more for an extra $2,900. With $885 for destination and delivery, that runs the total for the 2018 Hyundai Sonata Limited to $31,310, which is near the bottom of the top offerings in its class. 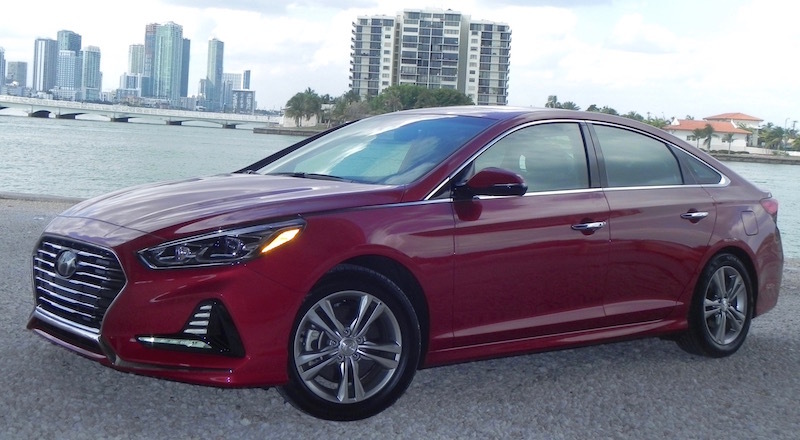 What I liked about the 2018 Hyundai Sonata Limited: A lot, really. Legroom is generous (45.5 inches in the front, 35.6 in the back), and trunk space (16.3 cubic feet) rivals some full-size sedans. 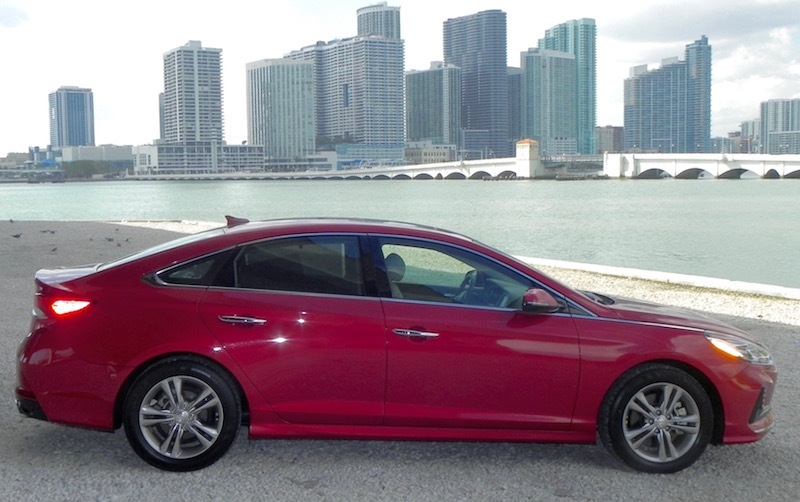 The Sonata is big enough that the government (EPA) actually includes it in its list of “large cars” when comparing fuel economy. 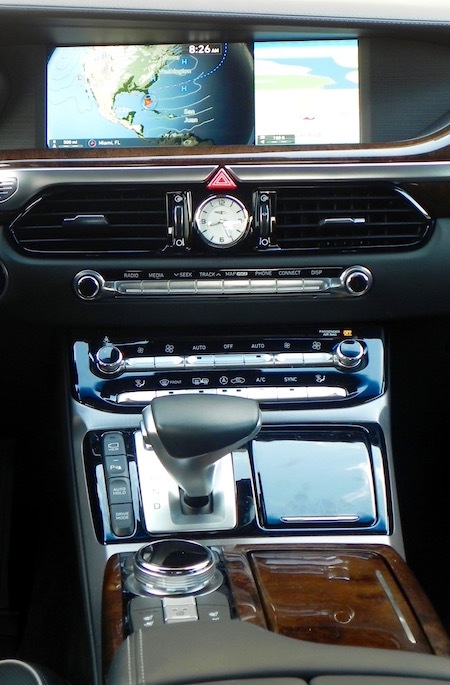 The technology is very user-friendly (I love the small knobs for adjusting audio and larger ones for climate control temperature), and the optional 8-inch screen for navigation included in the Ultimate Package makes it easy on the eyes. 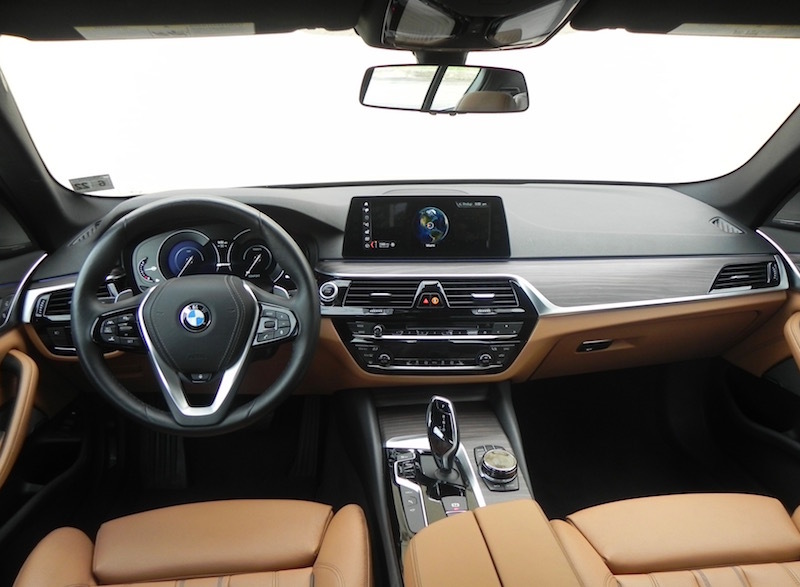 The interior has a premium feel about it, and the touchscreen is nicely integrated into the flow of the dash. Plus I just like the way it looks. What I didn’t like about the 2018 Hyundai Sonata Limited: I would like to drive it with the 2.0L turbo just to see the difference in performance. The standard engine is far from sluggish, though, and I never really felt I was lacking power. I would just like to see what more power would give it. Would I buy the 2018 Hyundai Sonata Limited? Unequivocally, yes. It’s ironic that as the overall quality of affordable sedans continues to improve, the number of people buying them continues to decrease. Sales of midsize cars in 2017 were down just over 16 percent compared to 2016. Only the Camry showed a gain while the Sonata was with all the others with a decline of 33.9 percent, ranking behind sales numbers for the Santa Fe SUV for the first time in the Hyundai stable. Frankly, it deserves a better fate, but buyers have an undeniable infatuation with SUVs/crossovers. Maybe the Sonata will help buck the trend. If your concept of a plugin hybrid vehicle is a little econobox with the styling flair of a Model T, then we have a surprise for you. 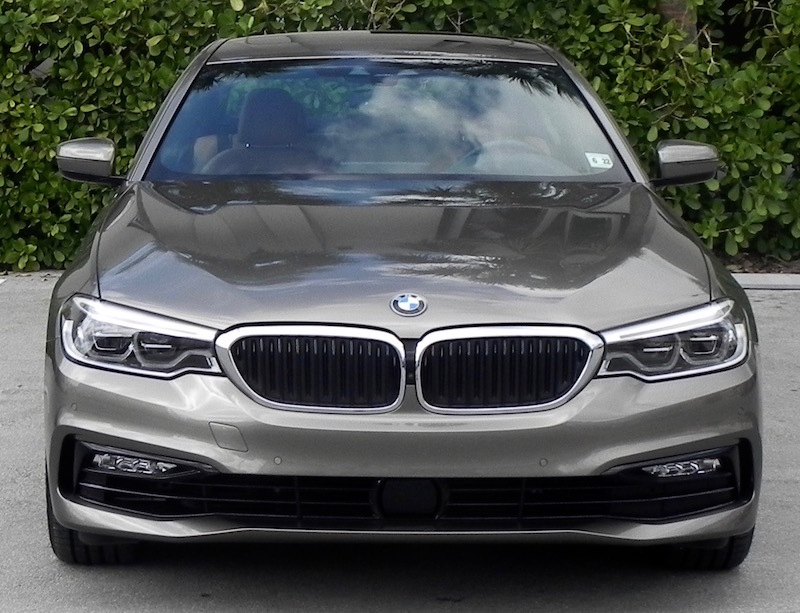 BMW now offers a plugin hybrid version of its top-of-the-line 7 Series sedan. 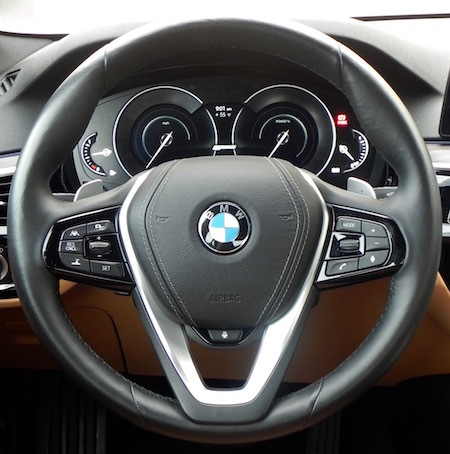 Yes, even BMW, a manufacturer of vehicles that have become somewhat of the ultimate symbol of decadent opulence, has felt the need to cater to the public’s infatuation with plug-ins. Of course, government regulation has something to do with it, too. Got to meet those CAFE marks, you know. Unlike a fully electric vehicle like the German automaker’s BMW i3, the BMW 740e xDrive is a conventional gas-electric hybrid equipped with a 2.0-liter, turbocharged 4-cylinder gas engine and an electric motor that combined produces 332 horsepower and 360 pound-feet of torque, the latter kicking in at only l250 rpm. “Combined” is the key word here. It probably is going to account for the bigger part of your driving experience since “electric only” range is extremely limited. How limited? I charged it overnight up to 100 percent capacity at home (it’s a considerably shorter time with the 240-volt outlet) and took off on electric power the next day. It seemed like I blinked and it was out of juice. Of course, I exaggerate, but only a little. Officially, range on electric-only driving is an estimated 14 miles. You get it by pushing the proper button on the console, and then it switches to gas automatically when the battery is drained. It’s not like you have to call for emergency road service, but still, if you live in an urban environment of almost any size bigger than Andy Griffith’s Mayberry you’re not going to be able to rely on electric driving for any extended time. If you want, you can set a target range for saving battery power to save all-electric driving for later. Not that that is a bad thing. 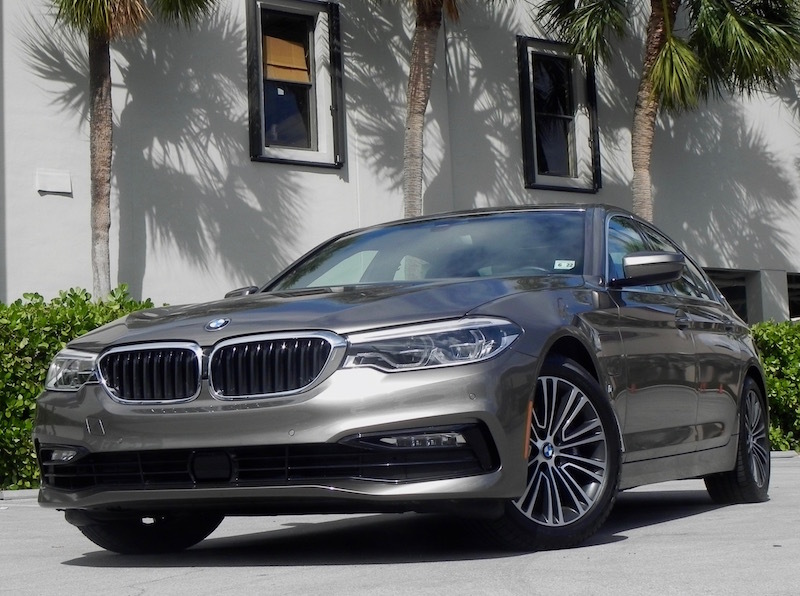 Even with a 4-cylinder engine, a first for the 7-Series in cars BMW exports to the U.S. from the final assembly point in Dingolfing, Germany, the 740e is a pretty spritely performer. You can set it in various modes like Sport or Sport+ to enhance performance as well. That is going to affect fuel mileage, of course. EPA figures are 27 miles-per-gallon running on gas only and 64 MPGe combined electric-gas operation. 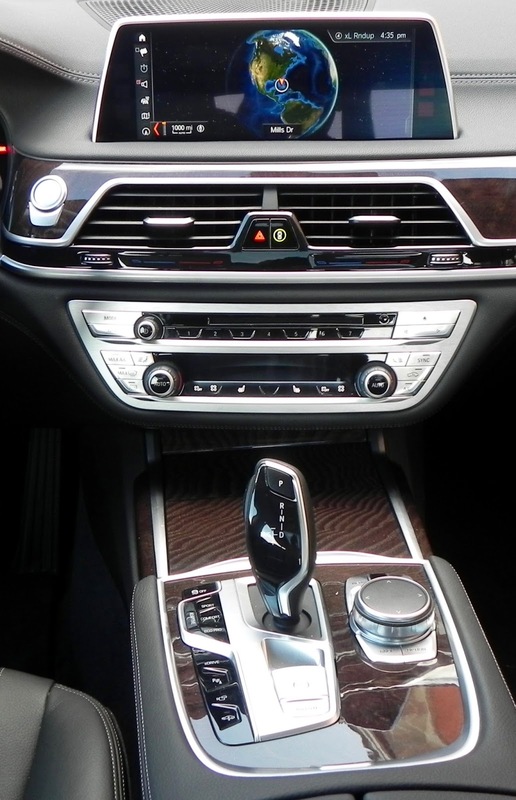 The “xDrive” in the name, by the way, denotes it is all-wheel drive, the only configuration offered in plug-in models. Other than the powertrain, the 740e offers anything and everything you can get in other 7-Series models, which means top-end cabin treatments with lots of leather and high-quality, soft materials and premium features like a Harman Kardon sound system and iDrive 6.0 system with touchscreen and a navigation system with a 10.2-inch, high-definition screen. 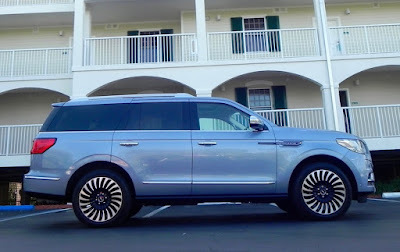 Keyless entry, a panoramic moon roof, backup camera, wireless charging and WiFi hotspot, adaptive LED headlights and fog lights, 14-way power adjustable front seat with lumbar support, an 8-speed STEPTRONIC transmission with paddle shifters, run-flat tires, leather-wrapped steering wheel, 4-zone climate control, and Concierge Services are included in the base MSRP of $90,700. 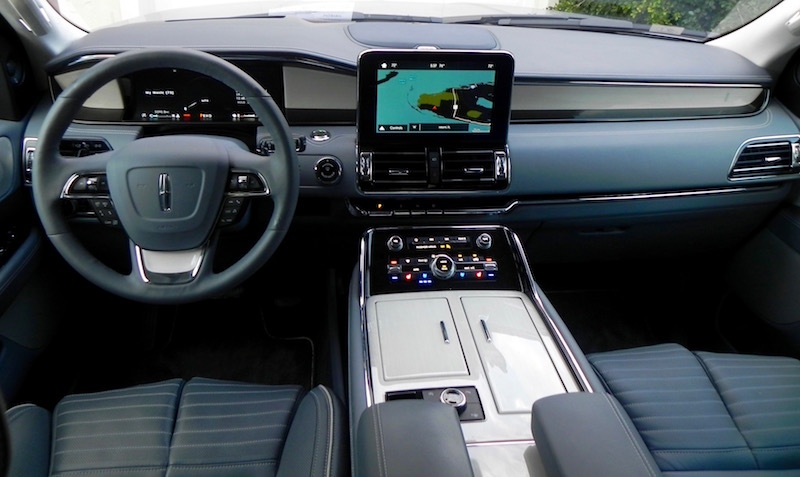 Throw in extras like a Driver’s Assistance Package (head-up display, blind spot detection, and lane departure warning), a Parking Assistance Package, Integral Active Steering, 19-inch wheels, Apple CarPlay (but not Android Auto) capability, along with other options and the total can come close to $100,000 with the $995 destination and delivery charge. 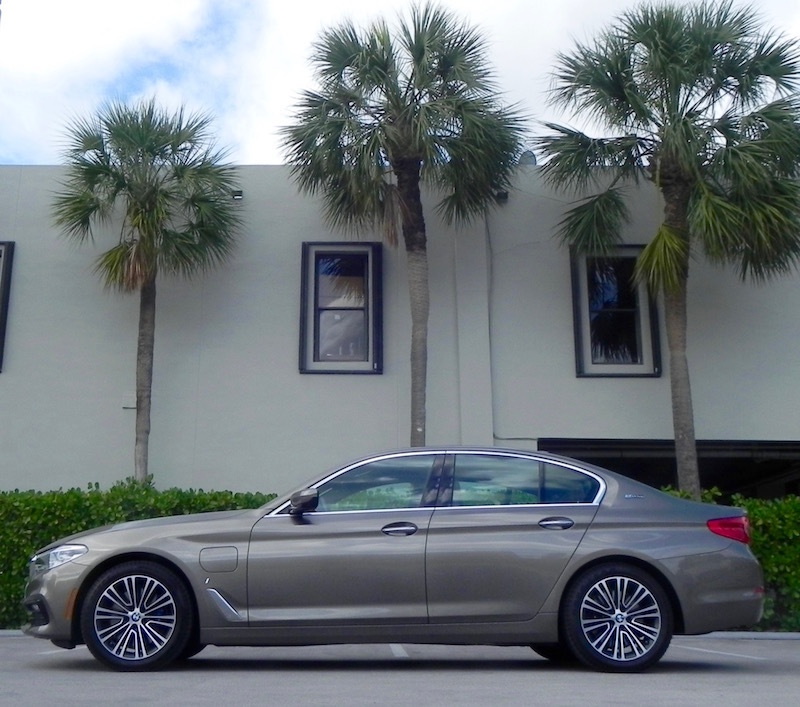 What I liked about the 2018 BMW 740e xDrive: The overall ambiance makes for an pleasant experience in the vehicle, even when stuck in rush-hour traffic. Despite its size (206.6 inches long, 74.9 inches wide with a wheelbase of 126.4 inches), the 740e is a capable performer. 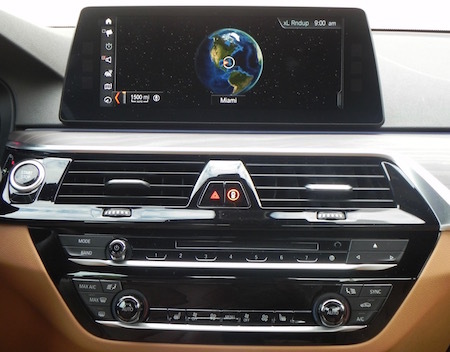 What I didn’t like about the 2018 BMW 740e xDrive: Operating the infotainment systems doesn’t seem as imposing as it once did — maybe I’m getting used to them or BMW has dumbed them down — but I still find having to rely on spinning a dial on the console to get through various menu options, some of them as simple as changing audio mode or a radio station, to be distracting. Fortunately, I often have a driving partner with me to alert me when traffic has stopped a quarter-mile ahead. Having to plug it in to get a full charge (which takes time) can be a nuisance, depending on what the situation with electric outlets is in your driveway/garage. It is for mine. 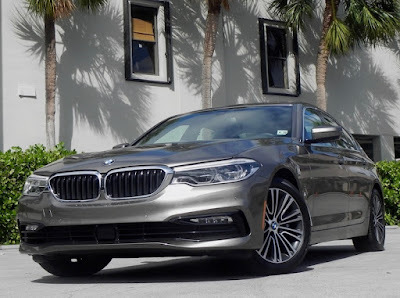 Would I buy the 2018 BMW 740e xDrive? Probably not, because I just don’t get it when it comes to plugins. You can get a base 740i for a lot less, and even a 740i xDrive is going to save you several thousand dollars up front. You get all that’s good about the 7-Series plus the opportunity to step up to a more powerful powertrain, and fuel mileage in the base isn’t all that bad (21 mpg city, 29 highway with the turbo-6). 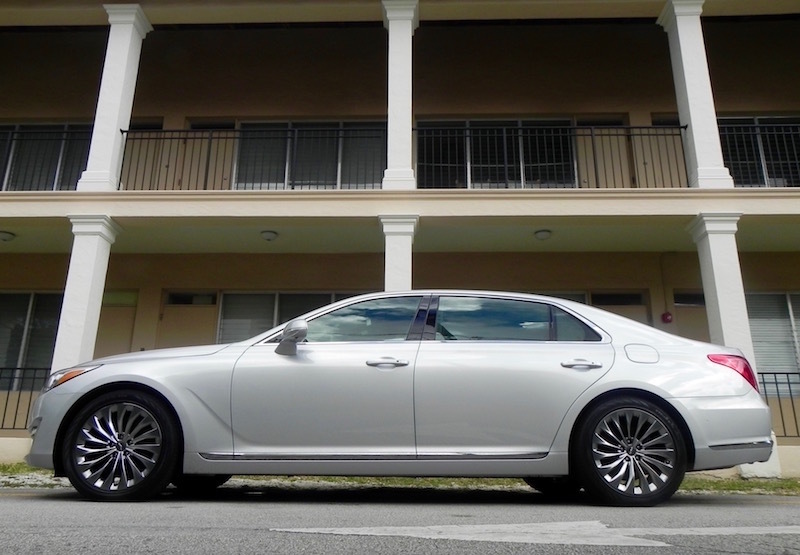 The Genesis G90 sedan may not be first on your list if you’re shopping in the full-size luxury segment, but it should be on there somewhere and pretty high up at that. Don’t let its Hyundai roots throw you off. This is a true luxury vehicle with all the trimmings you expect of the segment. Good looks inside and outside? Check. Engine strong enough to provide the kind of throttle response to meet demanding situations? Check. Option of rear-wheel or all-wheel drive, V6 or V8 power? Check. Plenty of standard safety features? Check. 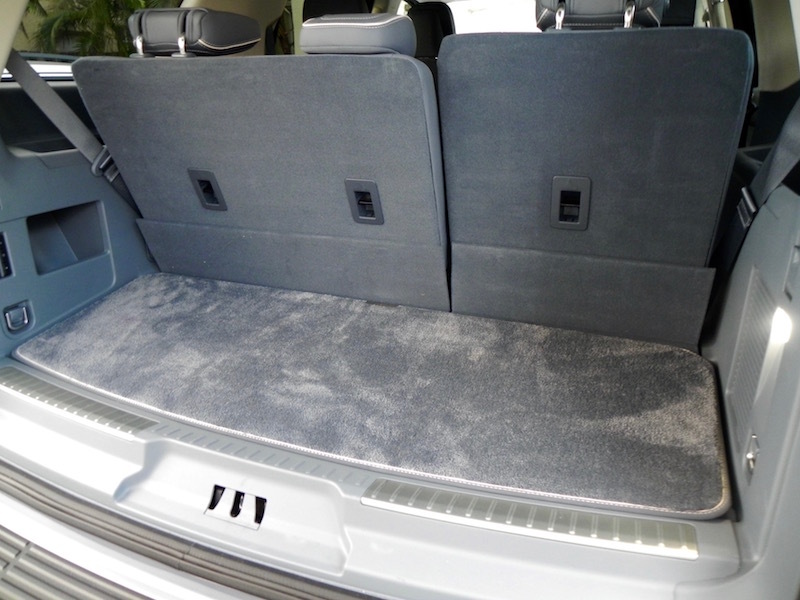 Abundant leather and real wood interior trim? Check. Enough gadgets and gizmos to satisfy all the but the geekiest of geeks? Check. Smooth, quiet ride with plenty of passenger room? Check. Nice touches like a hands-free trunk opener and three-zone climate control? Check. Complimentary maintenance and service valet? Check. A car you’ll be proud to have sitting in your driveway and taking to the country club? Check. An MSRP approaching six figures when options are added in? Well, you can’t have everything. 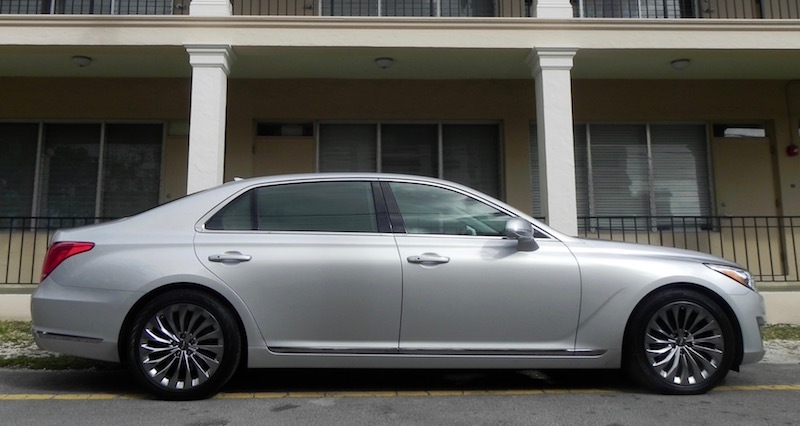 With a base price of $69,325 including the $975 destination and delivery fee, the Genesis G90 isn’t cheap by any means, but it is a bargain when put up against other imports from Asia and Europe. Is it worth $10,000 or more to you, some times much more considering the long list of standard features on the Genesis, to have the brand cachet of a German import? If so, more power to you. But if you are more interested in product than image, the Genesis G90 offers everything you might desire. Buy the way, it no longer is the Hyundai Genesis. The company broke it out as its own brand, similar to how Toyota has its Lexus luxury division, Honda its Acura, and Nissan its Infiniti, in November 2015. I spent my week in the Genesis RWD 3.3T Premium model, one of two powertrains and trims offered for 2018. 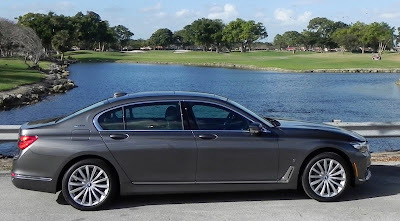 With 365 horsepower and 376 pound-feet of torque coming to its rear wheels from its 3.3-liter, twin-turbo V6, I found this G90 packed plenty of punch for everyday challenges. But you still might want to check out the 5.0 Ultimate edition with a V8 rated at 420 horsepower and 383 pound-feet of torque. Both engines are mated with an 8-speed automatic transmission that can be manually shifted via steering wheel-mounted paddles, and Intelligent Drive Mode allows for setting in four modes — ECO, Smart, Sport, and Individual — to adjust the transmission, throttle responsiveness, suspension, steering and stability control to your liking. About the only complaint here would be in fuel consumption. The G90 3.3T is rated at 17 miles-per-gallon city, 24 highway, and 20 combined, which puts it at the low end among its competitors. But you can buy a lot of gas with the money you’re saving, even at premium prices! The G90 looks the part of a luxury car from the outside, and that impression is carried over to the inside. 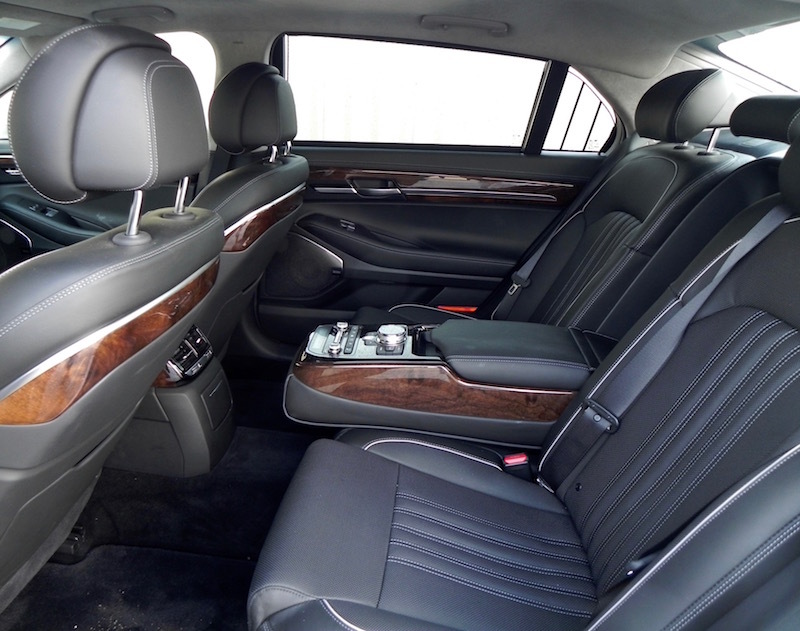 The standard Nappa leather seats coddle you in comfort — they are heated and ventilated — and are adjustable 22 ways for the driver, 16 for the front-seat passenger. If you can’t find a comfortable driving position with that many settings, perhaps you should hire a chauffeur. Legroom is a generous 46.3 inches in front and a comfortable 37.8 inches for those in back. Those in the back also get their own fold-down console with its own controls to adjust the A/C, for example, or the new rear-seat entertainment system (available only on the 5.0 Ultimate model). 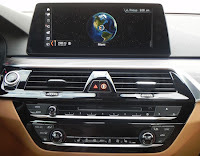 The 12.3-inch display screen for the navigation system is incorporated nicely into the flow of the dash, not sticking up in the middle as seems to be common on many competing models. The size makes for easy viewing in split-screen mode. Apple CarPlay and Android Auto are not offered, but there is a front-seat wireless charging port and USB ports in the rear. 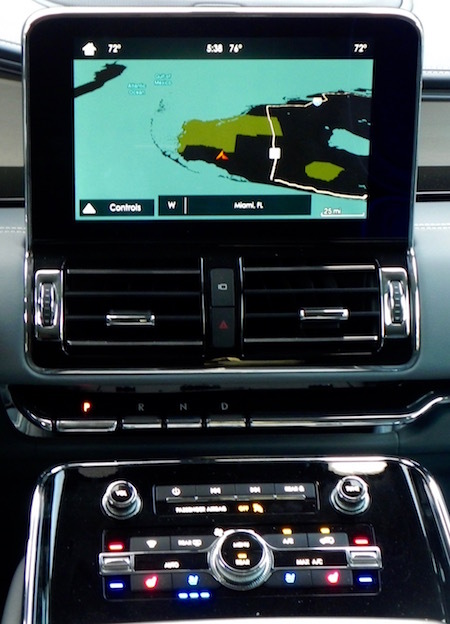 Safety features such as lane-departure warning and lane-keeping assist, adaptable cruise control, electronic parking brake with auto hold, blind spot detection and rear cross-traffic alert, and a multi-view camera are standard as are front and rear parking sensors and rain-sensing wipers. Push-button start and head-up display? Of course! The only extra you’re going to pay for over the MSRP would be the $2,500 for all-wheel drive over the standard RWD. 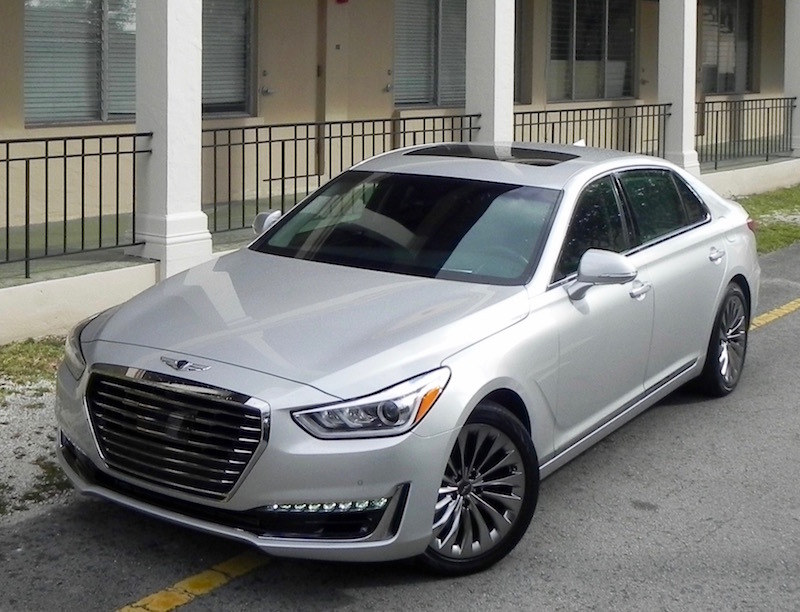 That makes the most expensive Genesis G90 the 5.0 Ultimate AWD model for $74,350. The AWD 3.3T carries an MSRP of $70,850, the RWD 5.0 Ultimate $71,850. 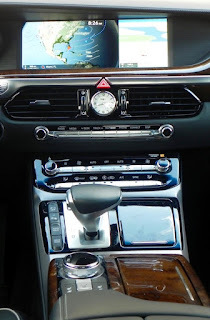 What I liked about the 2018 Genesis G90 3.3T: I loved the big screen and the way it has been placed in the dash. The technology itself is very user-friendly and easy to understand. 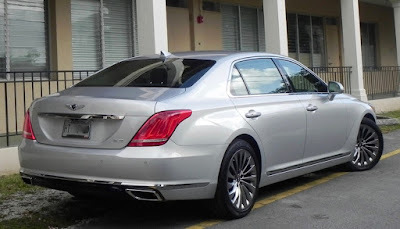 What I didn’t like about the 2018 Genesis G90 3.3T: The trunk could be bigger. Cargo volume is listed as only 15.7 cubic feet, which is not a whole lot more than you may find on some midsize luxury sedans. 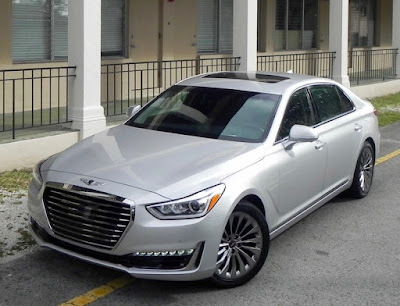 Would I buy the 2018 Genesis G90 3.3T? Yes, but I’d be tempted to check out the V8 version first. 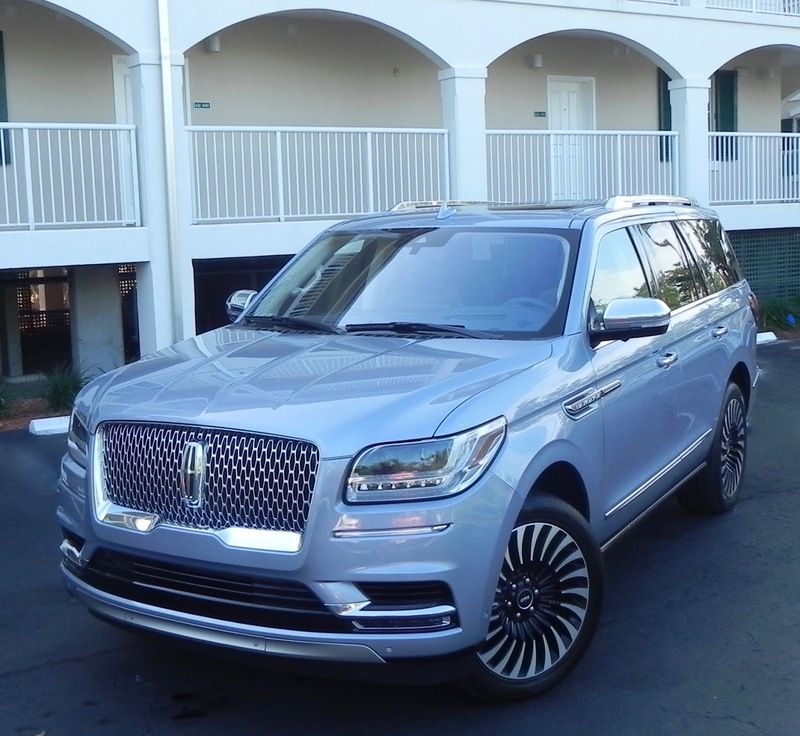 Thanks in large part to the boost it got from the hip-hop crowd, Cadillac’s Escalade has enjoyed an advantage over Lincoln’s Navigator when it comes to public perception of large luxury SUVs, even though it was the latter that is credited with creating the segment 20 years ago. Life can be like that sometimes. 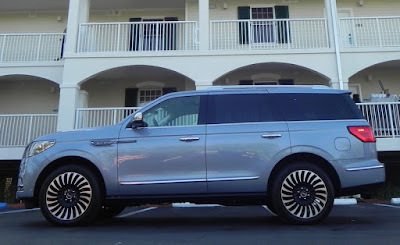 Frankly, it seemed like the folks at parent company Ford were willing to accept the situation as it was, but in recent years Lincoln has been unleashed and begun putting out high-quality products that truly are up to “luxury” standards and not just in name. 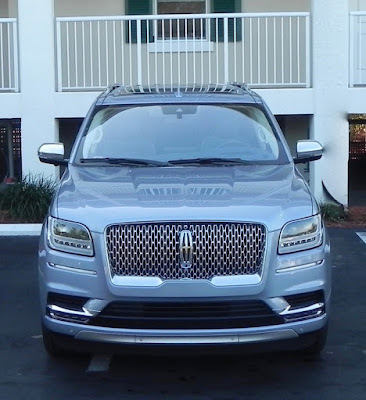 Among them is the 2018 Lincoln Navigator, a large SUV (no, it’s not a crossover but is body-on-frame construction, like a pickup) that earlier this year was recognized as the North America Truck of the Year by a panel of nearly 60 U.S. and Canadian automotive journalists in conjunction with the 2018 North American International Auto Show in Detroit. It’s the first time that the judges have bestowed a Lincoln vehicle with North American Car, Truck, or Utility of the Year honors in the 24-year history of the awards, so it’s an even bigger deal than usual. In addition, US News & World Report has rated the 2018 Navigator No. 1 in its class in its analysis of automotive reviews, and the public seems to have caught on as well. 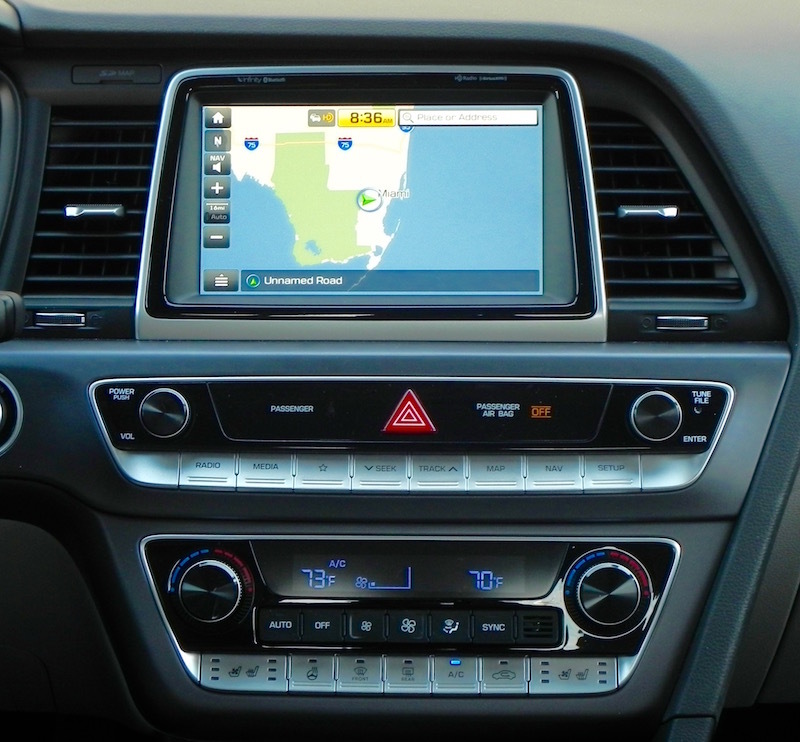 Navigator sales have jumped from 656 for last October to 1,230 in November, 1,134 in December, and 1,288 in January. Ford reported that 1,063 Navigators were sold in February, a jump of 13.3 percent over February 2017, and the sales for the first two months this year are up nearly 48 percent over the same time a year ago. Have to say engineers must have hit the mark with the 2018 redesign. And I like it, too. With its distinctive lattice grille centered by Lincoln’s understated logo and flanked by LED headlights, the Navigator has a sophisticated appearance that is matched by its elegant, roomy interior. Imagine nearly 44 inches of legroom up front, just over 41 in the second row and up to 42.3 inches for the third row (along with just over 37 inches of headroom). The top-of-the-line Black Label with a “Yacht Club” theme -- one of three upgrades that take the interior to the next level with “Chalet” and “Destination” being the other two -- gives the cabin distinctive woods, leather, and carpets to up the ante in opulence. Front seats can be adjusted 30 ways and include massage, heating, and cooling functions and include adjustable thigh supports. 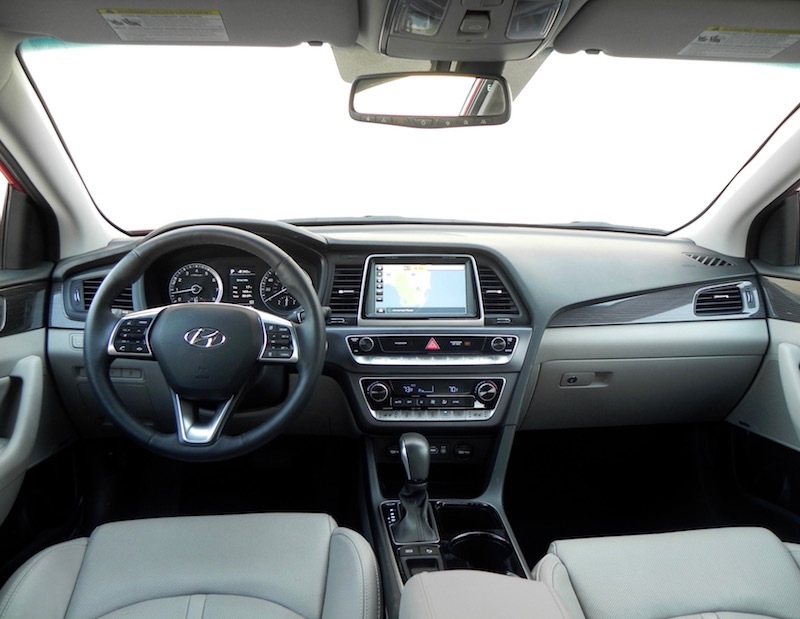 The blue interior is easy on the eyes, and the panoramic moonroof adds to the feeling of spaciousness. The dash is arranged neatly and the use of buttons at the bottom to select gears opens up the space between driver and passenger and allows for more space for storage and cupholders. The standard Sync 3 with voice activated navigation is very user-friendly, though I would prefer for designers to find a better way to accommodate the 10-inch touchscreen into the flow of the dash rather than having it stick up in the middle like a misplaced iPad. Second-row passengers have their own audio and climate control, and third-row seats may be power-reclined. You can get the Navigator with either captain’s chairs that tip and slide for easy access to the far back or bench seats for the second row, making it capable of seating seven or eight passengers in comfort. The Navigator is a workhorse as well. A new 3.5-liter, twin-turbocharged V6 engine -- is rated at 450 horsepower and 510 pound-feet of torque and mated to a 10-speed automatic transmission. It is offered in either rear-wheel or all-wheel drive, the latter standard on the Black Label edition, offering up to 8,300 pounds of towing capacity with AWD, 8,700 with RWD. Don’t let the “6” concern you. It’s same power source found in the performance-driven F-150 Raptor pickup and actually has more punch than the V8 found in some of its competitors. It moves the Navigator’s nearly three tons with alacrity. And it isn’t as thirsty as you might expect. EPA figures are 16 miles-per-gallon city, 21 highway, 18 combined. With a 23-gallon tank, you’ll be making more pit stops for, um, personal reasons than for refueling. You’ll find the 2018 Navigator available in four trim levels with the Premiere and Select models carrying starting MSRPs in the $70,000 bracket and the Reserve starting at $81,205. The Black Label edition, which includes as standard items such as a Technology package that are optional on the other three, starts at $93,705. Our test vehicle checked in at $98,320 when a couple of options and the destination and delivery charge were added. 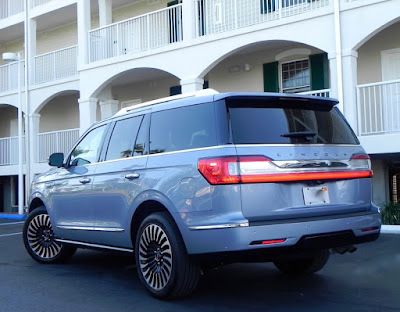 What I liked about the 2018 Lincoln Navigator Black Label: It’s a great vehicle for road trips. Whether in seven- or eight-passenger configuration, it offers each occupant much in the way of personal space along with a quiet, smooth ride. We had six for our weekend, and it was perfect. What I didn’t like about the 2018 Lincoln Navigator Black Label: The downside to getting all that room for the passengers is that cargo room behind the third row is limited. It is listed as a generous 19.3 cubic feet, but the way it is configured limits the size of some items that can be packed back there. A more spacious 57.5 cubic feet is available when the third-row seats are folded. 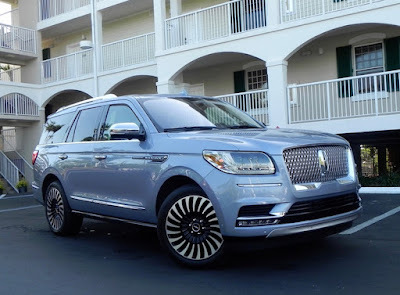 Would I buy the 2018 Lincoln Navigator Black Label? Yes. You can find full-size SUVs that provide a lot of space and function well, but the Navigator takes plushness to a new level. If it’s in your budget, it should be on your list.